Thank you so much to everyone that sent in animal costume pictures last month. 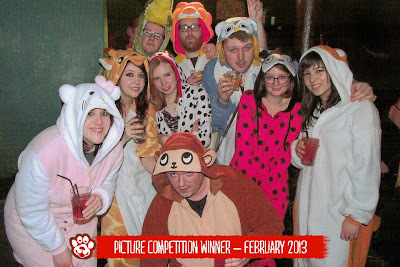 It was hard to choose a favourite, but eventually we settled on this great party snap, sent in by Pippa. Pippa wins a £50 voucher and has told us that she's got her heart set on the Purple Panda Kigurumi, which will be back in stock soon. Keep sending in your photos - we'll be giving away another £50 voucher at the end of March!